From this month, we are going to start a new series on our blog; Dog Breed of the Month. In this series, we’ll choose a dog breed every month based on likes, comments, and feedback on your website and social media pages, and write some fun facts about them. So, the Dog breed we have chosen for the month of March 2019 was Dalmatian. So, let’s find more about Dalmatians below. Every dog breed has its own traits, characteristics, and features that differs him from other dog breeds. Moreover, every dog has a different body and looks, and Dalmatian is one of them who is beautifully different from most of the dog breeds, let’s find it out below. Specialty: Highly and intelligent and best as a guard for firefighters and horses. Watchdogs. 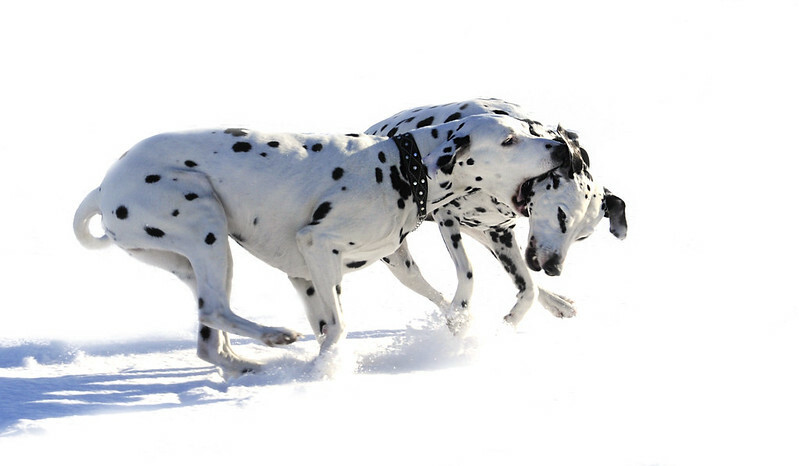 The Dalmatian is acknowledged as a strong, loyal and friendly dog of moderate size. Having most exclusive pelt adorn with black and liver spots, they are highly charming and attention-grabbing doggies. Its brawny body structure is well-resourced for trotting and going to long distance and it was the basic purpose of their popularity in early ages. A very good thing about this breed is that it is very fit and easy to keep with certain types of fitness issues like deafness, allergies and urinary stones. The spots are not present on Dals’ body at the time of their birth but they start to appear after 3 to 4 weeks. The Dalmatian has a history of several hundred years back as its first illustration was found around 1600-1630 but it is unclear from which origin this breed appeared but its documented description is dated to 18th century. The British Isles, Europe, North Africa, and Asia can be called as the regions of Dalmatian dog birth but later on, in the 1800s this breed started to diligently associate with Dalmatia region which is its ancient name and now it is well-known as Croatia, a swath of Central Europe along the Adriatic Sea. In Central Europe they were raised to lookout horses and coaches, worked as a guard at borders as well as in stables at night because of the strength of working as reliable watchdogs, that’s why the dog earned the appellation ‘the Spotted Coach Dog. Dal is although friendly and trustworthy to those the dog recognizes and trust, and also works as standoffish with aliens and unknown dogs. They make the ideal companion for jogging because of their athlete body. Dal also has a great capacity of learning but needs a lot of care and praising. Rewards in the form of food are also worthy of motivation. Moreover, games and exercise on a daily basis keep them active otherwise they get distracted and tired. 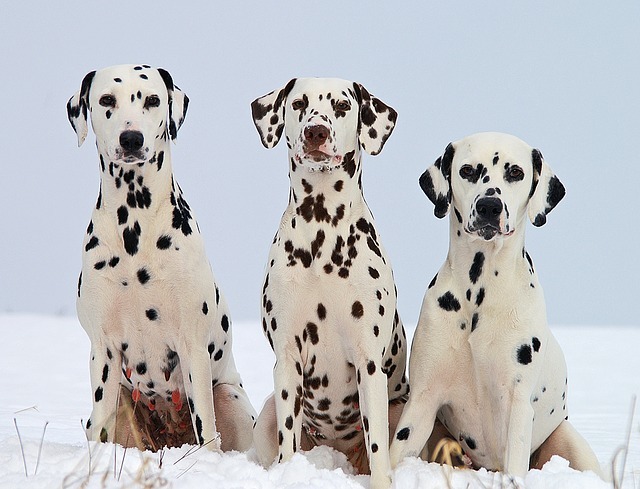 So, friends, it was Dalmatian, one of the most unique dog breeds which we had chosen to feature on our blog. 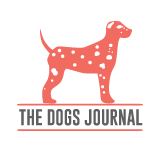 Which dog breed should we feature in April 2019 on our blog? Have your say in comments.